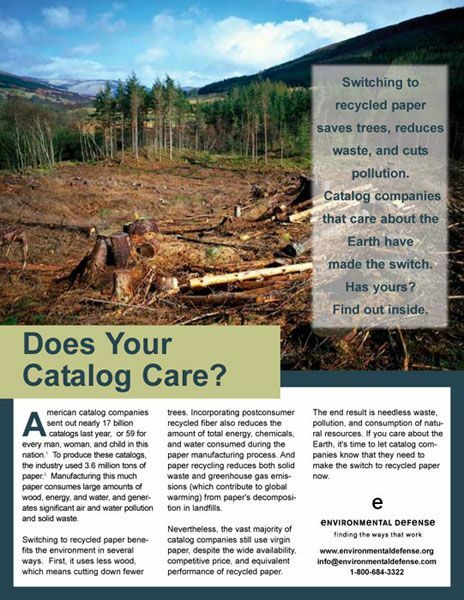 A 4 page brochure detailing a report conducted on which catalog companies do and don’t use recycled paper. 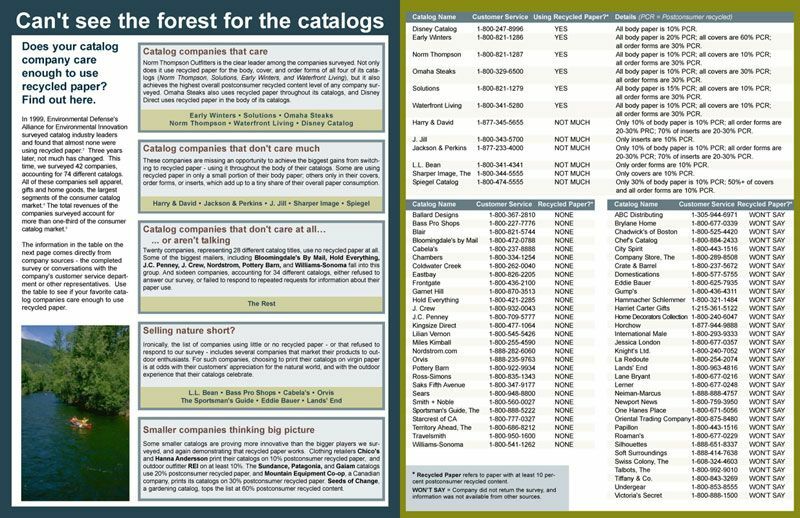 The challenge of this project was fitting all the text and information. 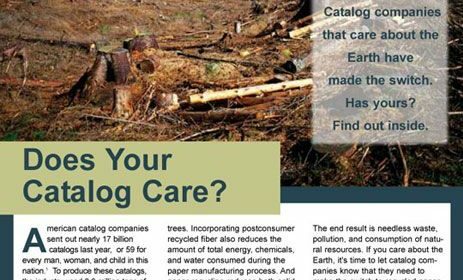 They obviously had the results of the study to publish, but they also wanted to include an intro statement, a synopsis of the findings, and information on how to let the catalog companies know you care. Through good use of organization and design, we were able to present all of the information without looking too cluttered and losing the message of the piece. 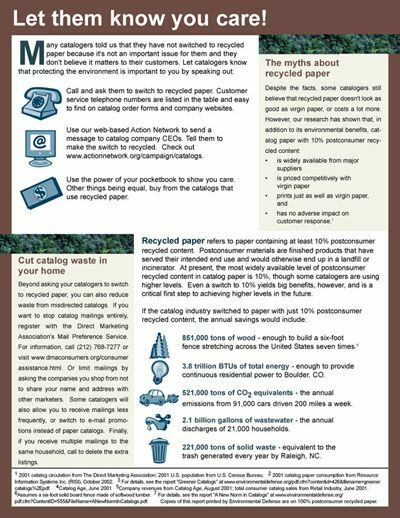 Additionally, environmentally friendly printing options needed to be sourced. We look forward to continuing this relationship and working with them on future projects.